The Central Coast American Viticultural Area (AVA) extends about 250 miles along the coastline of California from San Francisco in the north to Santa Barbara in the south. It is approximately 25 miles in width and covers some four million acres with just under 100,000 acres planted to wine grapes. 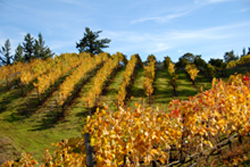 The region has about 360 wineries and produces around 15% of California’s wine grape production. 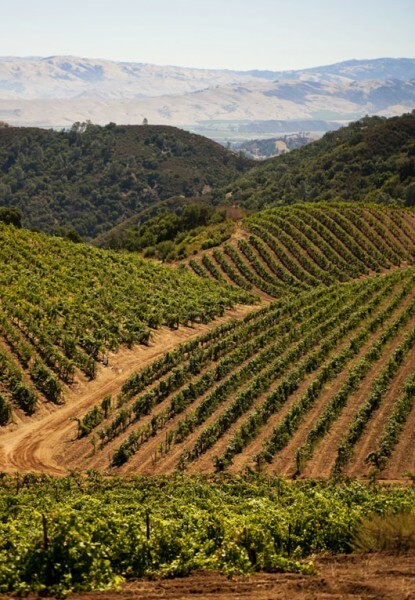 Within this area the six counties of Santa Cruz, Monterey, Contra Costa, Santa Clara, San Luis Obispo, and Santa Barbara also have their own AVAs as well as over three dozen other smaller AVAs within these counties. Scattered wineries in the northern part of the region produced great wines back as far as the 1930s and into the 40s and 50s. Examples of these wines would include La Questa, Hallcrest, and Martin Ray (to read an article on some of these wines and a history of old wines in California click here ). Listed below are tasting notes on wines mostly released in the latter part of last year from Calera, Domaine Eden, Mount Eden Vineyards, Ridge Vineyards, and Tablas Creek Vineyard. They are wines that represent real value in today’s wine world. The wines are made in a traditional, food friendly style and are balanced and very easy to drink. You can drink them now and many will repay extended aging in the cellar. If you have not tried any of these wines, now is the time to do so. They are available in retail distribution and direct from the winery through direct sale and wine clubs. The Calera wines are really remarkable and of consistently high quality with the Pinot Noirs capable of aging for a very long time. (Bottles in my cellar from the first vintage, 1978, are still delicious today. And, because of the miniscule quantities produced, the wines were bottled only in half bottles!) All the Calera wines also have very detailed information on the back labels. This is a policy all wineries should follow. Calera wines are available in selected retail outlets and direct from the winery. Calera also offers four different wine clubs offering special pricing for different assortments of wines (to read about each club click here). These are wines to buy! Calera’s Mt. Harlan Estate bottlings are special wines made in limited quantities. While most attention is devoted to Pinot Noir through the six different vineyard designated bottlings, the Chardonnay, Viognier, and Aligoté are also beautiful, distinctive, and very consistent wines. 2012 Calera Chardonnay Mt. Harland Estate. The production of this wine totaled 834 cases. It is light yellow gold in color with a deep complex perfume showing peach, citrus, and a tinge of apricot with just a kiss of spice. 2012 Calera Viognier Mt. Harlan Estate. Made from purchased grapes these Central Coast bottlings from Calera are consistently first rate and very good values. The quantities produced are also higher than the Estate bottlings and more widely available. 2012 Calera Chardonnay Central Coast. 2012 Calera Viognier Central Coast. 2012 Calera Pinot Noir Central Coast. 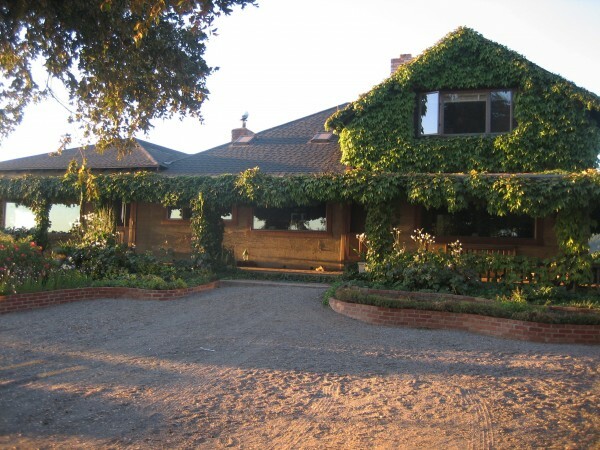 Domaine Eden is a new property located in the Santa Cruz mountains very close to the estate vineyards of Mount Eden. Under the skillful watch of Jeffrey Patterson, the vineyards are producing wonderful fruit which Jeffrey is crafting into wines with a lot of character and charm. The prices are very reasonable for the quality. This is a winery with great promise. 2009 Domaine Eden Cabernet Sauvignon Santa Cruz Mountains. 2011 Domaine Eden Pinot Noir Santa Cruz Mountains. This winery was created in the 1970s from the old Martin Ray estate. I have visited there often since that time and have written extensively on the property and its wines which you can follow by clicking on the link at the beginning of this article. It is amazing that this site can produce an unusual trio of world class Cabernet Sauvignon, Pinot Noir, and Chardonnay year after year. Suffice to say that the wines are consistently brilliant and they age beautifully. I have the wines in my cellar back to the 1970s. They have been great for many years and remain so today. If you are serious about wines that are balanced and delicious to drink that will also age effortlessly for many years, you really have to buy and cellar the wines from Mount Eden Vineyards. The wines are available in limited quantities at retailers and restaurants across the country and direct from the winery as well as through their Eden enthusiasts club (to learn more about the Eden enthusiasts club click here). 2009 Mount Eden Vineyards Estate Bottled Chardonnay Reserve Santa Cruz Mountains. 2010 Mount Eden Vineyards Estate Bottled Chardonnay Santa Cruz Mountains. 2009 Mount Eden Vineyards Estate Bottled Cabernet Sauvignon Santa Cruz Mountains. 2011 Mount Eden Vineyards Estate Bottled Pinot Noir Santa Cruz Mountains. 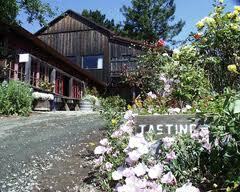 I have visited Ridge Vineyards many times beginning in the 1960s. Over this period of time Ridge has been the most consistently outstanding producer of red wine in the state. The quality here is remarkable and the wine making follows strict traditional practices with minimal intervention. Given the increasing manipulative wine making practices in California over the last 20 years, Ridge Vineyards stands as the shining example of tradition. Last year, Ridge introduced ingredient labeling for all of their wines. This spells out precisely what goes into the bottle. This is a practice that all wineries should follow as consumers would be astounded to learn the things that are being added to wines today (to read my article on ingredient labeling click here). Designed specifically for the zinfandel lover, the Z List provides you an amazing lineup of single-vineyard zinfandels sourced from historic vineyards and shipped direct to you twice a year. Members receive two shipments per year. The Spring shipment includes: Geyserville, Paso Robles, and East Bench. The Fall shipment includes: Lytton Springs, Pagani Ranch, and Ponzo. Since 1977, the Advance Tasting Program (ATP) provides members the exclusive opportunity to receive very limited, single-vineyard wines. Old-vine field blend zinfandels and Rhone varietals (syrah, grenache & carignane) remain our primary focus. Each ATP selection reflects Ridge’s winemaking style, emphasizing the distinctive qualities of geographic location, as well as grape varietal. ATP wines receive the same careful attention given other Ridge wines, including monthly topping-off and quarterly racking of barrels, analysis, and, of course, frequent tasting. The finest parcels of each vineyard are fermented separately, combined, then aged (almost entirely) in american oak barrels supplied by the country’s oldest and finest coopers. Between nature’s offering and our selection, the number of Monte Bello cases varies each year. We hope to fulfill our commitment to current members, but it is possible that in a given year, because of weather or the rigor of our standards, we will fall short. The quality of the Monte Bello can be assessed shortly after harvest, quantity by the following February. We will keep you informed, and hope to provide your requested amount in all but a very few vintages. Our Estate Cabernet Sauvignon, Estate Merlot, and Estate Chardonnay are made available to members at time of sign up (if quantities are available). Regularly scheduled shipment of new release estate wines is in March of each year. To get more information on the wine clubs go to the Ridge website by clicking here. Wines are also available through retailers as well as direct from the winery. I have been buying, drinking, and cellaring Ridge wines for nearly 50 years and have them in my cellar back to the 1960s. And, yes I still buy the wines every year. I cannot make a stronger recommendation than this! I first wrote about this wine in my October 2012 article (to read that article click here). Light yellow in color the wine has a stunning perfume with citrus and peach intermingled with faint hints of spice and a floral nuance. It has great flavor and intensity with a marvelous balance. The fruit is rich and supple, yet the wine is not at all heavy and maintains a great degree of finesse. The flavors are complex with citrus and peach intermingled with floral notes and hints of spice and honey. The finish is long and lingering. This is a profound Chardonnay that combines power and elegance which is a rare combination –Extraordinary. Since that time I have had the wine twice. It is absolutely stunning and, if anything even better, with a bit more bottle age. I hope that many of you were able to purchase this wine. There were 675 cases produced and the wine was offered for sale last fall direct from the winery and sold out in 2 days. This once again proves that “If you snooze, you loose!” But, make no mistake, in a world of over hyped and over spoofilated California Chardonnays, this is the real deal – a true classic that will age an evolve over many years. 2010 Ridge Vineyards Cabernet Sauvignon Monte Bello. Tasted twice since these notes were written, this is one of the all time great Monte Bello Cabs. It is delicious now, but will evolve over the next 20 or more years. This is a cellar treasure in the making. There were 3,250 cases produced. If you missed it, the wine is still available from the winery at $160 per bottle. Some critics have panned 2011 Zinfandels. This makes no sense to me. The 2011 Ridge Vineyards Geyserville which I reviewed in my last Ridge article is an outstanding wine and a classic Geyserville. I have enjoyed the wine several times since its release last spring. It is now sold out at the winery, but may still be available in the retail marketplace. If you see it, buy it! And the more recent 2011 Ridge Vineyards Zinfandel releases below also are a testament to the quality of 2011 Zinfandels. This comes as no surprise to me as I cannot think of a year when Ridge did not produce gorgeous Zinfandels. 2011 Ridge Vineyards Lytton Springs. 2011 Ridge Vineyards Pagani Ranch Zinfandel. The production of this wine was 1,175 cases and is comprised of 78% Zinfandel, 18% Alicante Bouchet, 3% Petite Sirah, and 1% Mataro (Mouvedre). All the vines here are very old with ages from 90 to 115 years. The wine is dark in color and has 14.7% alcohol which is beautifully integrated and balanced with the very pure fruit. The perfume is gorgeous and redolent with blackberries and mulberries accented by spice. Succulent and very fruity the wine is packed with black fruit flavors showing a slight exotic tinge and an underlying spiciness. There is firmness to the wine’s structure and the tannins are well integrated. Delicious and very tasty now this wine will soften with a few years additional bottle age and keep well beyond – Outstanding Plus. 2011 Ridge Vineyards Ponzo Zinfandel Russian River Valley Sonoma County. 2011 Ridge Vineyards Primitivo Lytton Estate. Here is the background on this new Ridge wine: In 2004, we replanted a five-acre block on Lytton West to primitive, the Italian name for a grape brought from Croatia to southern Italy in the late eighteenth century. This is the same grape that came from Croatia to America, via Vienna, in the late 1820s as zinfandel. 2011 Ridge Vineyards Zinfandel East Bench Dry Creek Valley Sonoma County. This is another Zinfandel was released to Z list members last year. Unfortunately, it is now sold out at the winery. Made from 100% Zinfandel and showing 14.6% alcohol this is a classic Zinfandel. With a deep color the wine exhibits a gorgeous blackberry perfume with a briary, spicy tinge. On the palate there is a myriad of rich very pure black fruit showing briary nuances and a faint underlying spiciness. The wine is soft, supple, and lush with delicious flavors and has undeniable early appeal – Outstanding. 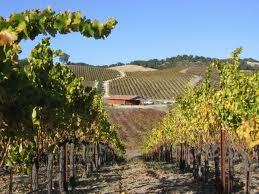 Tablas Creek Vineyard was founded in 1989 with the purchase of 120 acres of vacant land in West Paso Robles. It is a partnership with Domaine Beaucastel and Robert Haas as the majority partners. The first wine was produced in 1997. (You can read the background by clicking on the link at the beginning of this article). Since that time the wines have been consistently remarkable. They are very distinctive and unique as compared with the more well known California varietals. They are food friendly, balanced, and just plain delicious to drink! The wines are available through selected retail outlets and direct from the winery through their three different wine clubs (To read more about the wine clubs click here). I encourage you to try Tablas Creek Vineyards wines. They are truly special. 2012 Tablas Creek Vineyards Patelin de Tablas Blanc. 2012 Tablas Creek Vineyards Côtes de Tablas Blanc. Made from a blend of four estate grown grapes (34% Viognier, 30% Marsanne, 30% Grenache Blanc, and 6% Roussanne). There were 1725 cases of this wine produced. Varietal Roussannes are rare, but they are worth seeking out for their complexity and ability to age for a long period. There are also very food friendly and complement a wide variety of foods. 2011 Tablas Creek Vineyards Roussanne. 2011 Tablas Creek Vineyards Mouvèdre. 2011 Tablas Creek Vineyards Espirit de Tablas. The great wines of California’s Central Coast are a real treasure. Once again, I highly recommend that you give wines from the producers recommended here a try. You will not be disappointed. Later this year I will visit and taste more wines from the wineries mentioned here. I will also investigate a few other different Central Coast wineries to possibly add to my list of recommended wines. Stay tuned! I have yet to visit Laetitia. I tried setting up an appointment a couple of years ago, but it did not work out. I will try again some time in the future. What I am doing with the Central Coast is to identify what I think are the best producers of traditionally made wines. Maybe at the end of the day that will be a list of a dozen or so. It is still a work in progress so stay tuned. Meanwhile, I always tell people if you want really good California wines look to the Central Coast. And, in particular, to the wineries where I have a long standing knowledge and whose wines I cellar and drink often. You can always expect to hear from me on these wines!